Innovations using the internet seem to be the trend these days. Right now, these devices that use the IoT (Internet of Things) are making their way to disposable things. This new innovation demonstrated the connectivity of Internet to a disposable object.Researchers from the University of Washington implanted backscattering to disposable objects. Backscattering is a technology where you can recycle signals, e.g. Wi-Fi signals and radio signals, and using them to communicate with said devices, powering these devices along the way. Gollakota, a professor from the said university, said that You can harvest power from these signals and use reflection to create transmission". 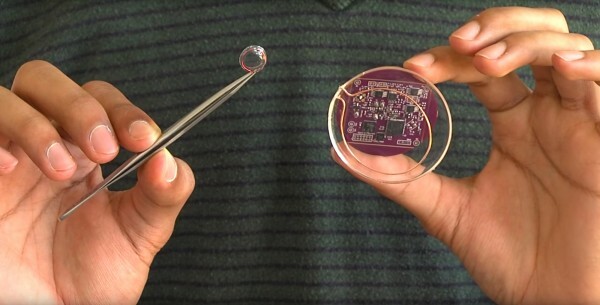 The researchers used Wi-Fi signals to connect their smart phones to a contact lens. Another project design was a flexible skin patch that can monitor a patients body temperature and respiration.Based on recent tests, Wi-Fi signals from wireless routers can be recycled by backscattering devices and it can communicateup to a kilometer. Using the backscattering technology can make devices cheaper not only because it removes the use of batteries but also has a much simpler circuitry than conventional radio hardware.Want to know more about this awesome device? Follow this link!